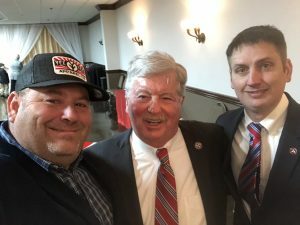 State Rep. Lowell Russell that represents Loudon and Monroe Counties has been asked about the Highway 321 reconstruction. He contacted TDOT and here is the answer. So it will be about a month longer. Thank you for your comments regarding the State Route 73 (US-321) project in Lenoir City. TDOT strives to assign enough working days to our project to allow contractors ample time for completion but also desires for projects to be constructed as efficiently and quickly as is practically possible. The referenced project was originally scheduled to be completed June 30, 2019. There have been delays on this project caused by a sinkhole, unforeseen utility conflicts, and a design revision. These events are outside the control of the contractor, which means that this contract is eligible for additional time to be added to the contract completion date. Additional time can only be given in well documented warranted cases, which are reviewed carefully by TDOT staff. Because of these delays, the contract completion date has been extended to August 4, 2019. We will continue to monitor this schedule closely, and do everything we can to ensure that it is met. Randy Tyree Endorses Sheriff Jimmy “J.J.” Jones? Next story Is it Time for an Unbiased Observer to Make the Call on Evelyn Gill? The Question to the DOJ has been asked!